Presented here, an exceptional basket made of black ash splint. Double wrapped rim, two carved fixed handles. The round, top rim is 21" in diameter and the bottom is 15" square. 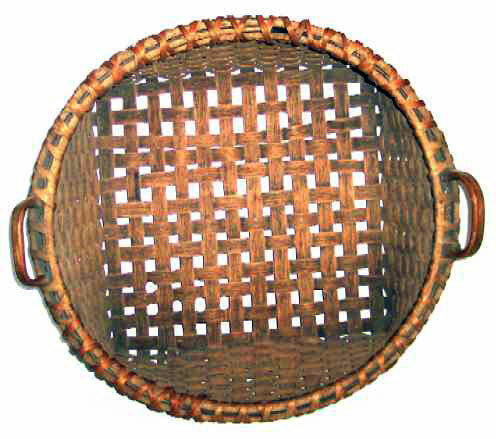 The basket is in very fine condition and comes out of a major New Hampshire collection.